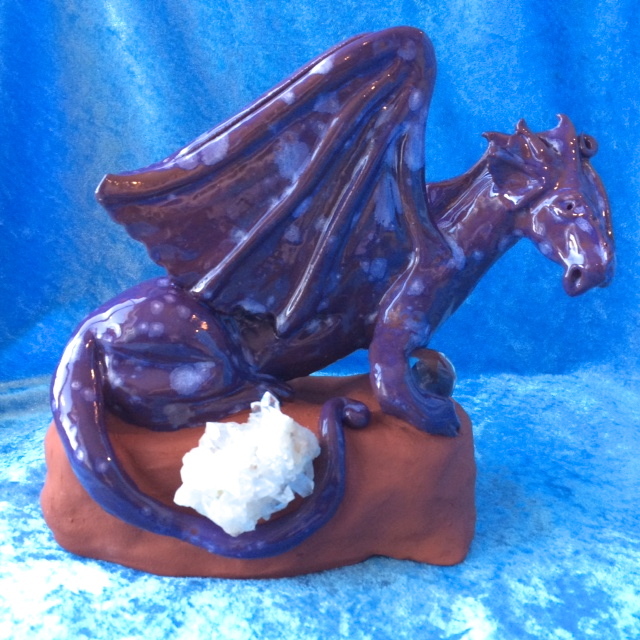 A very different blog this time….the story of my very favorite dragon!! Enjoy! Once upon a time there was a dragon called Saphira. Her task was to guard the Crystals of the Earth and as such her true name was ‘Saphira Crystal Keeper’. Her scales glittered in sparkling blue as she guarded a cluster of clear quartz crystals representing the crystal kingdom. Now Saphira was birthed in Holland and she felt this could not possibly be right. This could certainly not be happening to one as great as herself! What itself respecting Dragon was created in a land as flat and crystal-less as that? It could not possibly be right. As such she flew to Wales, the land of dragons. After all, did the Welsh not have a red dragon on their flag? This must definitely be the place to be. And so she flew to Powys where she ended up in a lovely New Age shop where she was admired for a year and a day. By that time a restlessness started to creep in. If this was where she was supposed to live, why had she not been bought by some great wizard or healer? She just sat there being an ornament when she had so much more to bring to the world! Could this really be all there was to life? Just sitting there, looking pretty? Admittedly she was the loveliest dragon of all of Wales, but she started to feel an emptiness inside her. She even started missing her Dutch creator and wondered if perhaps there had been a reason to be born in a country where dragons were less known and common. Perhaps she had a huge task there to bring some of the dragon energy to a land that could use some extra myths, legends and crystal healing power. In her great haste to return to her creator, she bumped her head and a little chip came off her lovely horn. Saphira was devastated. Had she not been on her way to some great destiny? Had she been wrong? Was this a sign? How could she possibly do that with this small imperfection in her otherwise perfect countenance? So as she arrived at the holiday cottage of her creator, she sat there sitting like a wilting flower. “Enough of this!”, her creator said. 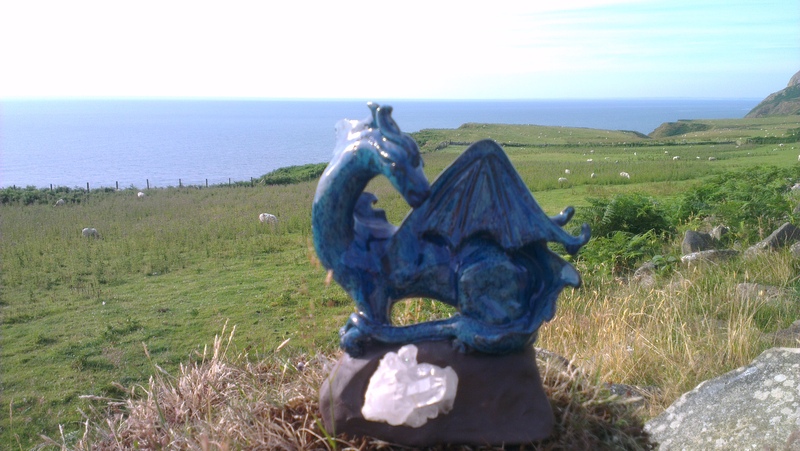 “You are the Crystal Keeper and do not need perfection to be who you are!” To cheer her up they went for a walk to enjoy the Lleyn peninsula. 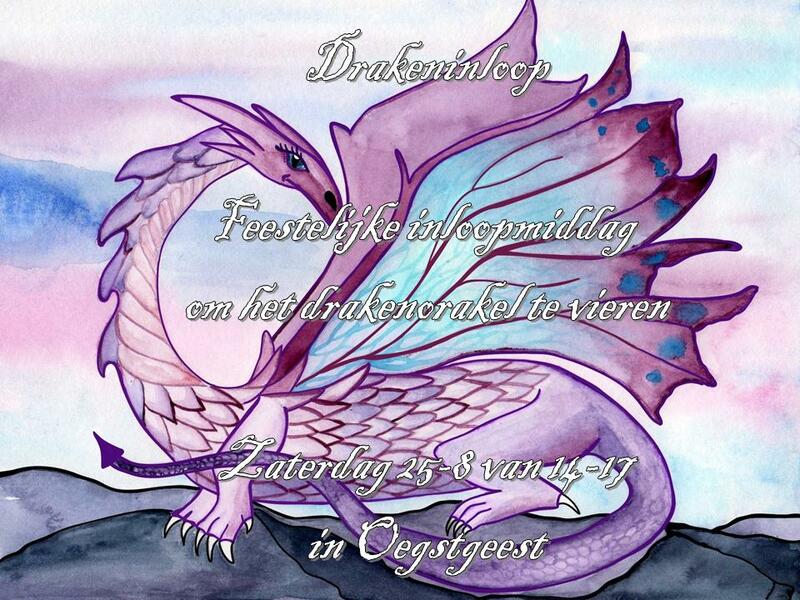 “You will be the first dragon ever to walk here and get a photoshoot!”, said her creator. And there they went…walking near the sea, climbing little walls. 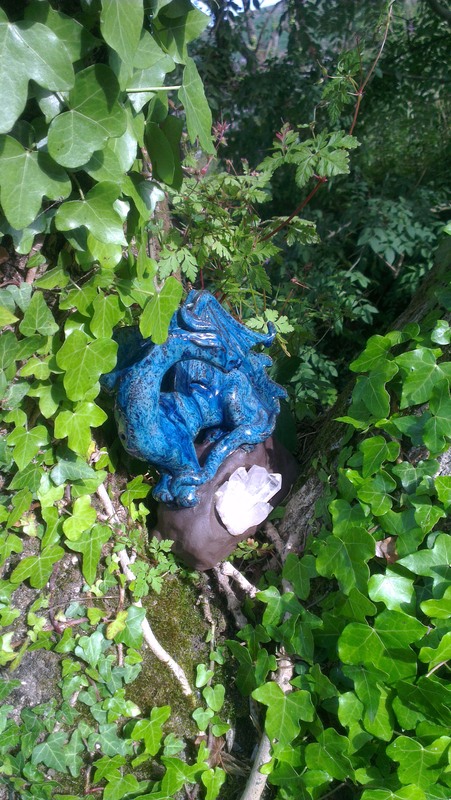 Saphira felt the sun glitter and sparkle of her as she sat by a little stream and in a tree. And all was well. She just knew she was perfect, just the way she was! 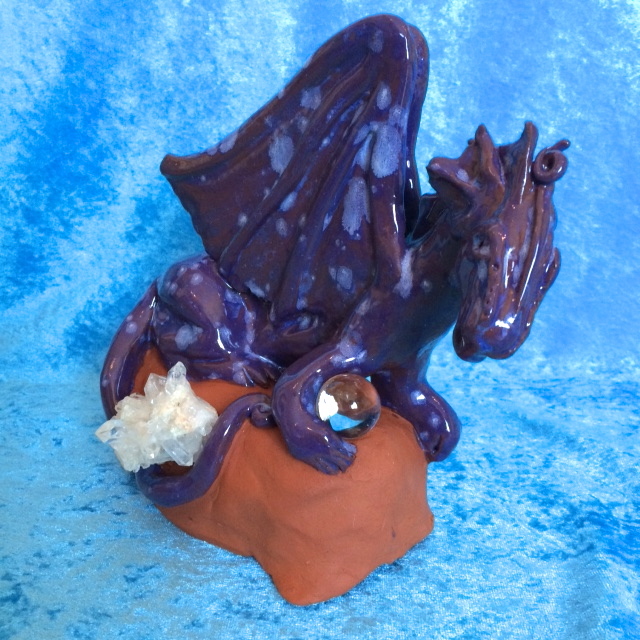 This entry was posted in Dragons and tagged Angellightheart, clear quartz, crystal dragon, dragon keeper, dragon story, dragons, saphira, Welsh dragon on July 22, 2014 by Angel Light Heart. 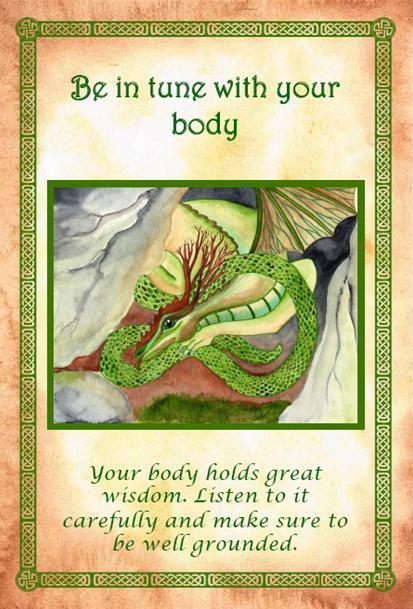 This is the year of the Water Dragon and now is the time more and more Light Workers are starting to (re-)connect to Dragon Consciousness and awakening their own potential as co-creators. 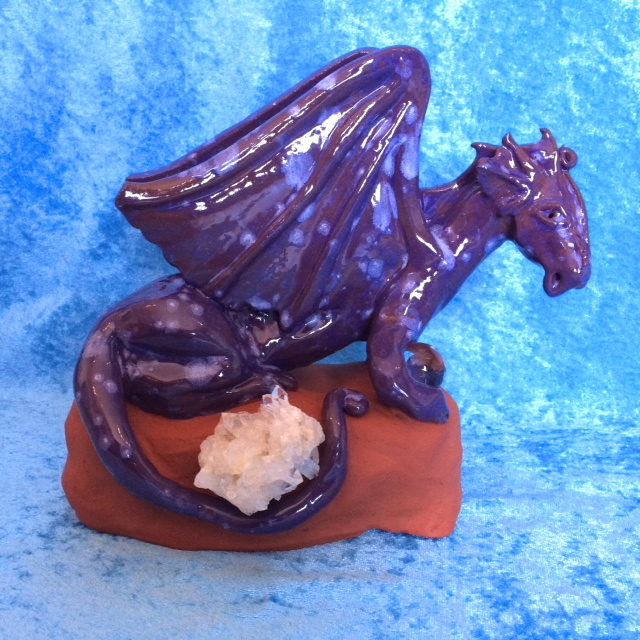 My adventure with the dragons started about three years ago after I bought a ceramics kiln and made a red and green dragon for a dear friend in Wales. Soon thereafter I was visited in a meditative visualisation by a Golden Dragon. It was immensely powerful and regal. I was rather surprised by its immense energy. I had worked with angels and with unicorns in my meditations, sometimes with faeries, but dragons were unknown to me in the spiritual sense and I had not looked for them in any way. 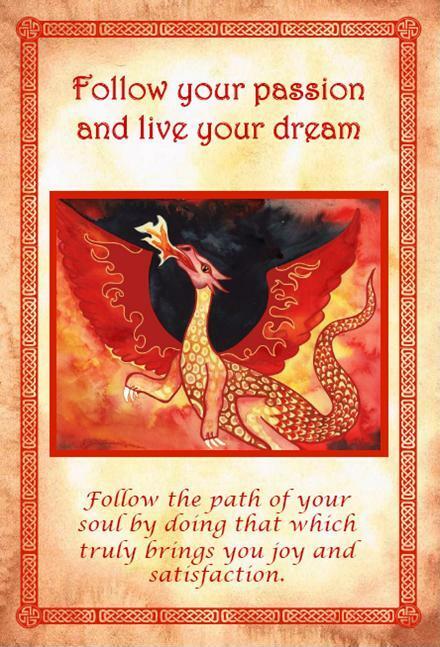 The energy of the Golden Dragon has been most welcome in my meditations, healings and daily life ever since. He has brought me strength in difficult situations at work, protected my energy field and assisted in healings I performed. Soon the dragons inspired me to start working on a Dragon Oracle, as they conveyed it was time for them to return to human consciousness. They were quite adamant about that. Anytime I lost focus or procrastinated I felt them nudging me onwards with my work. Though they respect free will as angels do and their energies are closely related to Angelic energies, they do not seem to have much tolerance for excuses. They like to help those who help themselves! And they like to empower those who use their power wisely. Do you wish to work with the dragons? Here are some ways of doing just that. 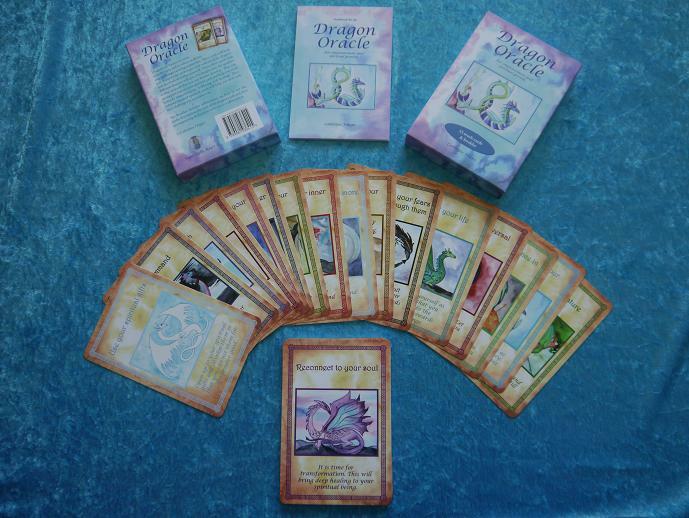 PS if you want to work with the energy of the dragons, you can now order the Dragon Oracle through www.angellightheart.com. Email me at angellightheartAThotmail.com to receive more information or order. 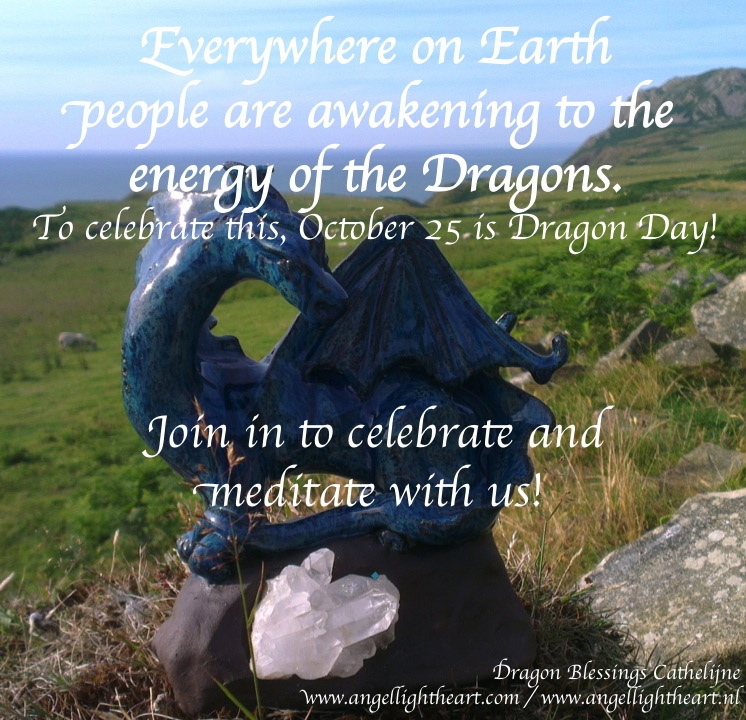 This entry was posted in Channeling, Dragons and tagged dragon, dragon oracle, Ley line, New Age, Religion and Spirituality on November 18, 2012 by Angel Light Heart. walk our talk and spread our spiritual wings! called ‘Blue Moon’, though it has little to do with the color blue. Originally called ‘Belewe Moon, “which meant something like Fake Moon. Language is an evolving system and Belewe Moon became ‘Blue Moon’. said that especially feelings of sadness and loneliness are multiplied. bring in the Dragon Energy in the meditation. with difficult emotions and thoughts. other people’s and beings’ power. Every being has enough of its own. our own power, knowing it is ours to use and we need nothing more. in the eye of the energetic hurricane. Take your emotions. Look upon them. Accept them as you flow with them. Any feelings that no longer serve you can be given to Water Dragon. ancient powers for the greater good of self and all. linked to the stars, the Earth, the ley lines and the sky? 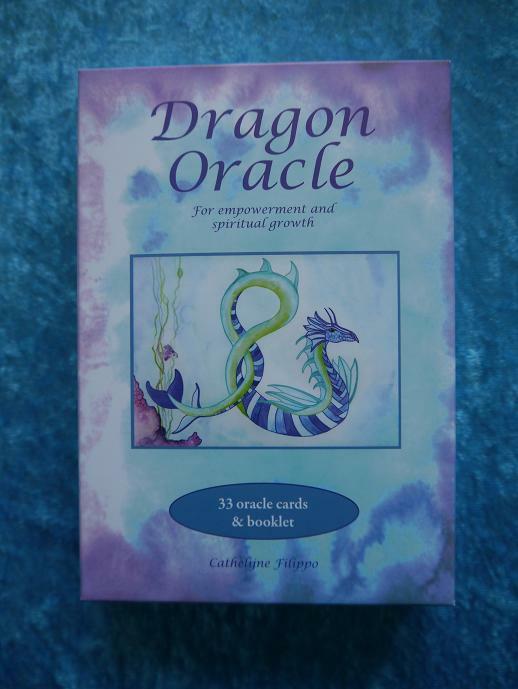 is a special discount when ordered with the Dragon Oracle. bringing together our energies. Most will be meditating 7 pm UK time. your body and breathing deeply. webs and birds sing their songs. dragon as leave the alcove and move deeper into the large cave. dragon as you move onwards. love to the dragon before you leave its lair. 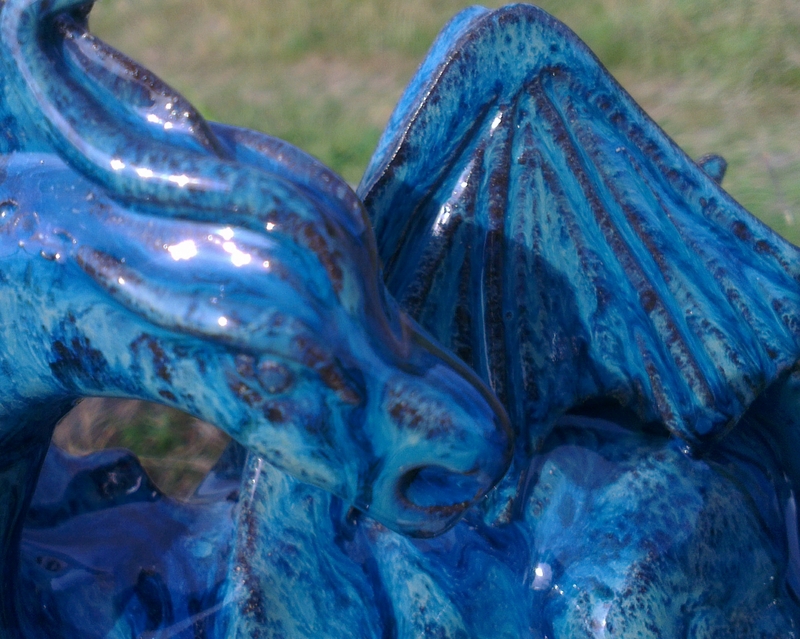 Onwards a blue dragon lies in another alcove of deep blue sapphire. it gives you the power to express your feelings and speak your truth. 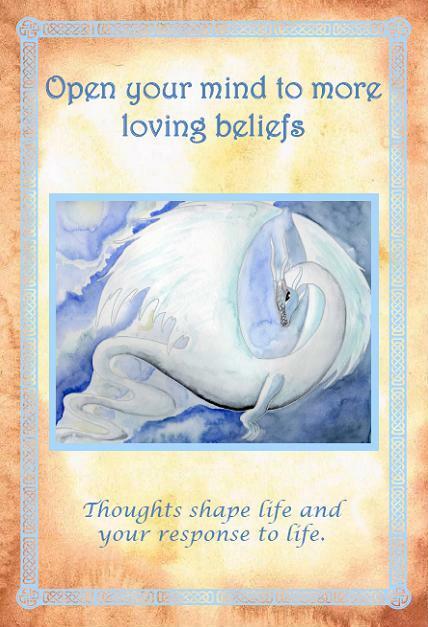 You thank the blue dragon as you continue on your journey. spiritual sight. You bow deeply to this great Master. the dragon for its wonderful help. 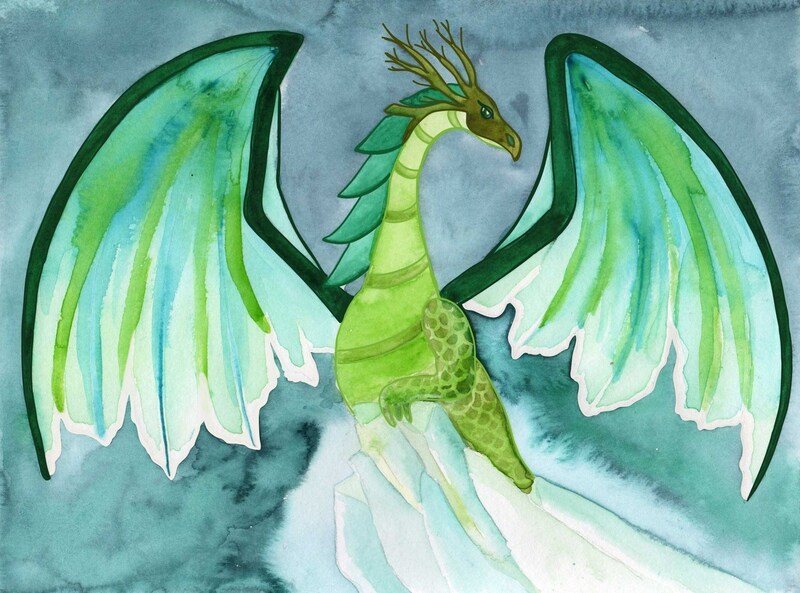 and brings together all the attributes of the colourful dragons. forehead. It will help you use your spiritual power wisely. 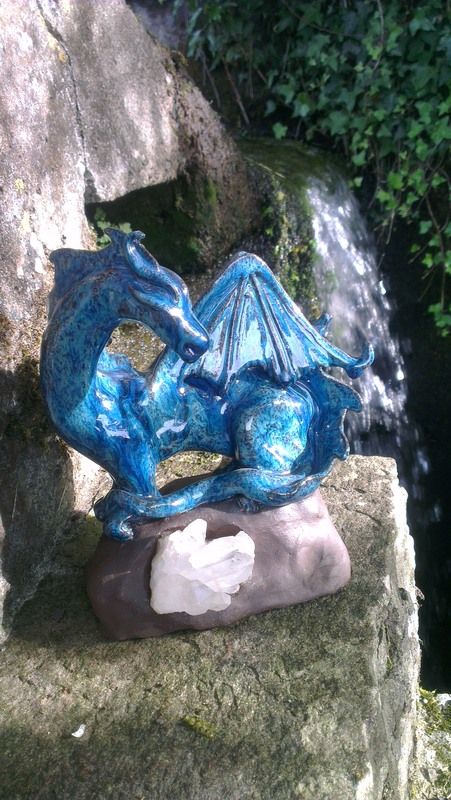 This entry was posted in Dragons, Moon Meditation and tagged august 2012, blue moon, crystal angel essences, dragon, dragon essences, dragon oracle, full moon, full moon meditation on August 30, 2012 by Angel Light Heart.